Knowing who to turn to when you have a complex board design and a short deadline is critical. Our team of engineering experts and manufacturers can help. Whether you're just laying out the design of your board or just need us to quote your completed design, we have the solution for you. Technology & capabilities: Multi-layer rigid to 30+ layers, flex, rigid flex, backplanes, micro VIA's, blind & buried VIA's, lazer drilling, fine lines/spacing, selective gold plating, impedance control, exotic materials, metal core, heavy copper, DFM & DFT. Quick turns, prototypes, low to high volume production. Test services: 100% electrical test, all products, flying probe test, AOI test. Certifications: ISO 9001, AS9100C, MIL-P-55110, MIL-P-50884, IPC class 2 & 3, ITAR certified. Manufacturing location: Anaheim and Orange Calif.
Woman owned Small Business, Family operated since 1972. Valley Circuits dba Valley Syncom Circuits has become one of the most prestigious board houses in Southern California. 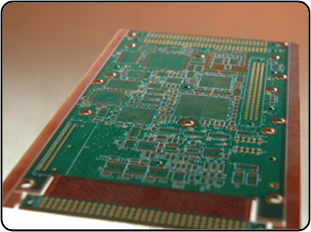 Specializing in printed circuit boards for Defense, Aerospac & Medical Devise Industries. Proudly standing behind more than three decades of experience. VSC provides expert knowledge and has a proven record of excellence.